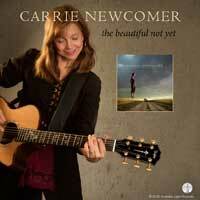 This mini retreat will be based upon Carrie’s song “The Beautiful Not Yet” and focus on stories of hope and our ability to envision possibility. It will explore the working of compassion, love, justice and spiritual awakening through the lens of faithfulness. Participants will consider the things that have helped us in hard times, ponder if those things are still available to us, and consider how we access them. Sometimes we see the fruit from the trees we plant. Sometimes we rest in knowledge that the seeds we plant are an act of hope and faith, regardless of the seeable results. In this retreat, Carrie will use music, poetry, reflective writing, small and large group discussion. Program fee of $35 is due with registration. Payment in full in due prior to arrival.